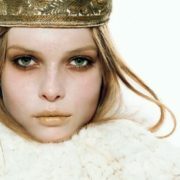 Polina Kouklina (or Polina Kuklina) is a Russian fashion model. 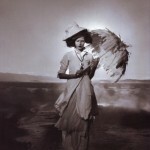 Her photos appeared on the covers of Japanese, Korean, and Russian Vogue. Pretty girl was born on July 14, 1986 in Moscow. At that time, interest in fashion in Russia increased every year. And most importantly, there was a growing desire to join the fashion world, or at least to organize a fashionable life in Russia. In 1988, when Polina was two years old, the first beauty pageant was held in Moscow. 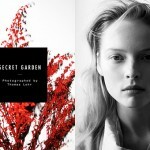 When she was three years old, the model agency Red Stars was opened. The girl went to school when The Look of the Year, later renamed Elite Model Look, was held for the first time. At the same time, in the mid-1990s, the epoch of glossy press began in Russia. The first magazine was Cosmopolitan, which appeared in 1994. The profession of the model meant a way of life, which in the late 1990s seemed to be natural: new cities, other countries, interesting contacts. The work of the model looked attractive due to this opportunity to live in an open international world. Being a model meant becoming a citizen of the world. And even more. It meant becoming a beautiful citizen of the world. 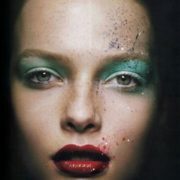 It is considered that Max Vadukul, photographer who noticed Anna Vyalitsyna, was one of the first who discovered Polina. Indeed, his shooting for Vogue magazine in 2002 drew attention to the promising model from Moscow, in fact, beginning her star career. 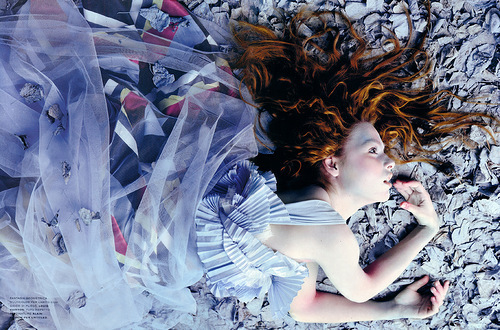 But in fact, the photos of Vadukul were not the first experience in fashion magazines for Polina. 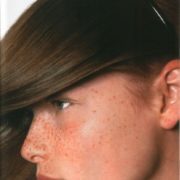 In 2000 Polina was one of the models of Idol, a small French agency with an office in Paris. One of her first works was shooting for the Russian ELLE. For the Russian ELLE Polina posed in 2001. She worked with famous photographer Anton Lange. Cute girl was only 15 years old. You know, she worked with Take 2, Why Not in Milan, City Models in Paris and Trump Model in New York. For each of them, Polina became one of the most rated models. In the summer of 2003, she took part in the fashion shows in Europe. 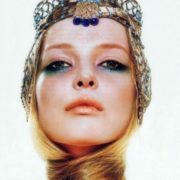 By the way, in the same season she became the face of Miu Miu. To tell the truth, in 2004, the model appeared in 25 magazines and worked with famous Solve Sundso, Satoshi Saikusa and Nick Knight. So, Polina became a very recognizable model. In the same year she took part in a huge number of fashion shows in New York, Paris, Milan and London. Awesome girl became the face of Louis Vuitton, Sportmax and Hugo Boss in 2004. A year later, several well-known brands invited Polina to participate in their advertising campaigns. The list of companies that wished to work with the model in 2005 was really amazing. It included Burberry and Etro, Nina Ricci and Tods, Saks and Dior. The following year, she worked with another legendary brand, Hermes.